“Eleanor And Park” For April’s Blog Book Club! 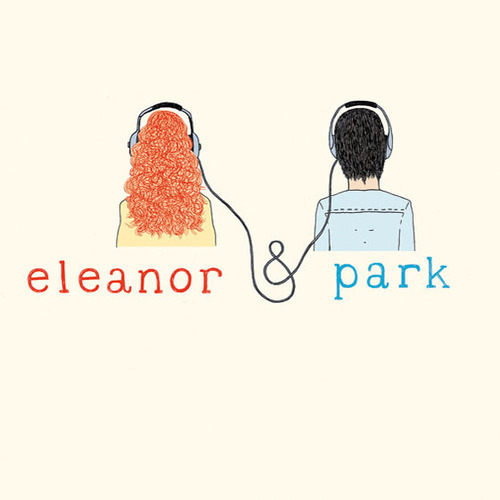 April 11, 2015 Categories UncategorizedBlog book club, Book club, Book Lovers, Discussion, Eleanor and park, Rainbow Rowell, YA Fiction3 Comments on “Eleanor And Park” For April’s Blog Book Club! Dear Friends, I am finally here announcing the book for April’s Blog Book Club!! This announcement is late because of a few technicalities I have encountered along the way. During March, we went to visit Chris, and the van broke down [again]. The van was otherwise non repairable. We sold it on the spot, rented a car, and emptied the van of our belongings. Unbeknownst to us, until I (being the responsible Kindle Mother I am) decided I wanted to read Eleanor And Park on my Kindle, did I realize the Kindle was in fact missing. Chris, however, went to the mechanic and was the biggest hero, and long story long, the Kindle is on it’s way back to my loving arms. DEADLINE for Eleanor And Park by Rainbow Rowell will be the last day of this month, April 30th. I will then announce the book for May (psst, it’s gonna be Paper Towns). This way, we absolutely have a month to read each book. Tweet your excitement/observations/quotes/complaints/suggestions/witty remarks/pictures of you reading the book/whatever you have to say, using the hashtag #BekahsBooks. You can also send me messages and pics on Instagram (@RebekahKoontz). In the post discussing the book, I will feature your comments etc and link back to your blogs and Twitter and Instagram accounts. It will be great exposure for you and a good time! Looking forward to reading your comments and diving into this book! I read the inside cover at Costco, and I’m already hooked! Yay! So excited for this being as I missed out last month! Guess who picked the right time to read Eleanor and Park!?!?!? I’ve read the book and it was really good. Reminds me so much about my teenage years. It’s just that I never had that experience when I was a teenager. But it is the best book of all time for me. So many quotes that touched my heart.